Delicious Tompouce : Begin learn dutch online everyday ! Tompouce, tompoes or custard slices is our family favorite. We eat all most every week. So I try to make it at home and it's easy. Tompouce has two layers of pastry with baker's cream and pink glaze top. Sometimes orange especially on Queen's day or when Holland national football team is playing big match. 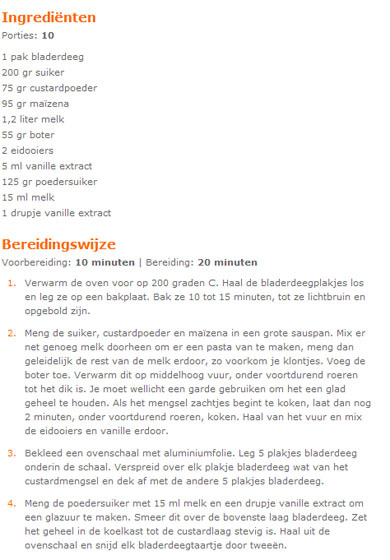 Below is a tompouce recipe from Kaybee in allrecipes.nl and dutch words.